In-town location one room bunkhouse with 3/4 bathroom located on a 5 acre horse farm. Rustic and cozy with kitchen, queen bed, heat and air conditioning. Horse boarding available if you want to bring your horse. Dogs welcome. Some of the very best rock climbing in the USA 10 miles north. Newly re-built Royal Gorge Bridge and Park 9 miles West of town. World class river rafting and Gold Medal Fishing in Arkansas River. Small town feel. Cook in or try our nearby restaurants. We were builders in Glenwood Springs Colorado for years and moved to Canon City to be near our children and grandchildren. We raised Missouri Fox Trotting horses for 15 years and this area was perfect for that. Canon City has much to offer year round with the warm winters. You can do most outdoor activities at any time. Great hiking, rock climbing, walking on the beautiful River Walk or skiing at Breckenridge Ski area two hours away. If you want a cozy cabin feel without the "'hotel" price this may be for you. Bring you dog (no charge) and as we live next door we can walk it while you are gone or it may come in the yard with our two Golden Retrievers. Love the tiny bunkhouse, hosts are fabulous and we were able to upgrade to the larger Creekside Cabin on the property as the weather defeated our hiking plans and we needed more room to settle for the day. We enjoyed our stay at the bunk house. My wife and I were celebrating our anniversary and we brought our dogs and really enjoyed our time in Cañon City. 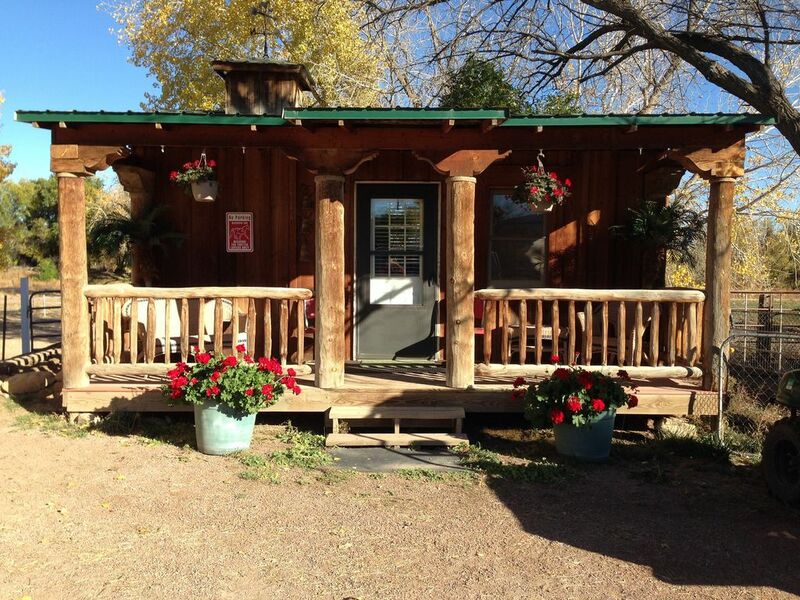 The amenities were great and there were lots of trails and things to do in the Cañon city. Very good location, close to town, but yet quiet and cozy. We had a very nice stay. It was a small warm cozy cabin. Close to town but yet a country atmosphere. We had a great time and would stay here again if ever in the area. My wife and I had a great time. The cabin is close to the owners home so close if needed. We relaxed, fished, enjoyed going out in town. All great. Very small but great spot, lovely proprietress, comfortable and affordable. I love the quiet and that our dogs were so welcome. Susie was so hospitable. Electricity went out for about two hours and she brought us a lantern. Everything worked, it was a pleasure and we will come back for overnighted. World class River Rafting, Fly Fishing and Rock Climbing! Skiing at Breckenridge 2 hours away.